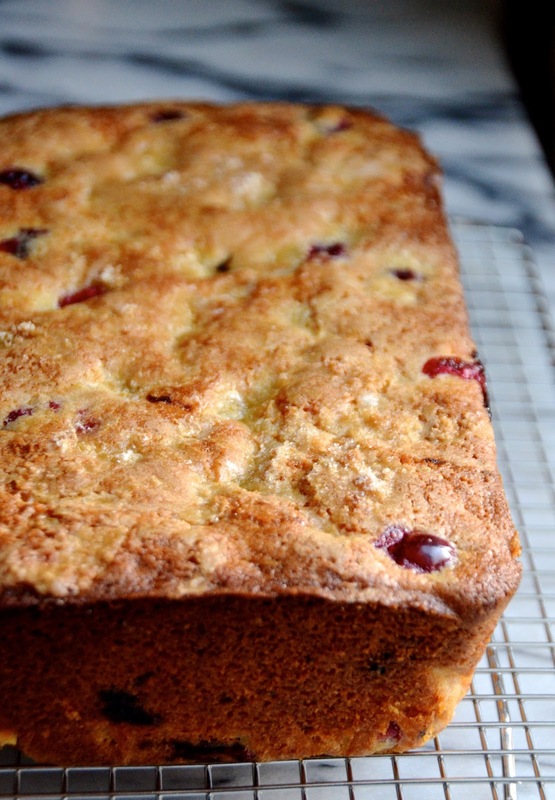 Before making this Preserved Lemon & Cranberry Loaf Cake, I'd only ever used preserved lemons in savory recipes. I love the bitter salty tang of them in lamb stews, mixed into pasta sauces, or as part of a garnish over roasted meats, but had never tried them in something sweet. And oh man was I missing out! It makes so much sense, if you think about it. Especially if you enjoy salty-sweet desserts. Preserved lemons--also known as lemon pickles--are popular in North Africa and South Asia. They're made by quartering lemons and packing them in jars with salt, water, and lemon juice. The salty brine cures the lemon making them soft with a salty tangy flavor that's often served with grilled meats, stews, and dishes common to those areas. They are also, however, wonderful in sweets! For this Preserved Lemon & Cranberry Loaf Cake I diced up about 1/2 cup of preserved lemons and combined them with freshly squeezed lemon juice and fresh lemon zest. The combination of both the fresh and preserved lemon makes for a beautifully perfumed citrus cake. 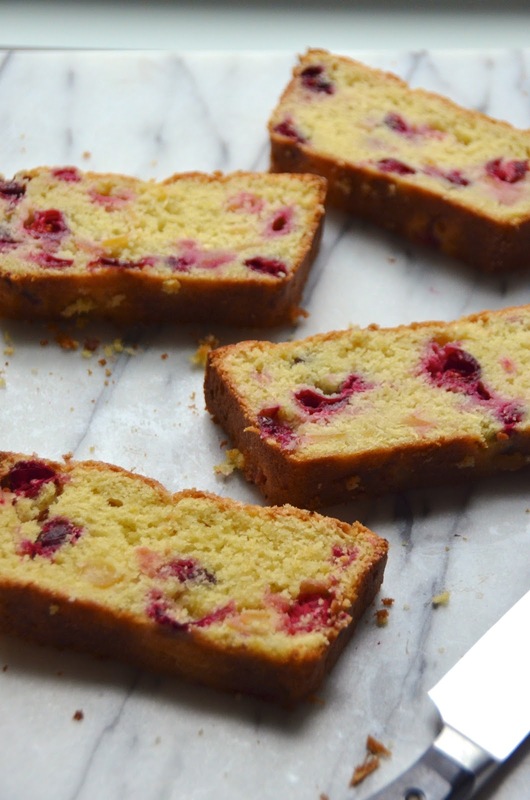 Add a few handfuls of fresh tart cranberries and stir it into the buttery batter, and you've got a gorgeous sunny Fall cake that's perfect for both entertaining and everyday snacking. 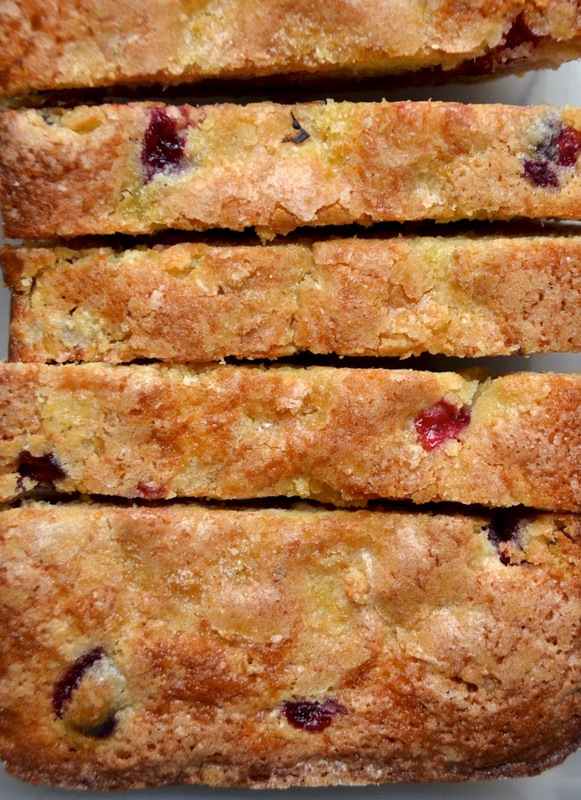 Want more cranberry recipe ideas? Check out this round-up of 9 sweet and savory cranberry recipes that are perfect for the season! Preheat oven to 350 degrees. Grease a 9x5” loaf pan and line with parchment paper. Combine the sugar, preserved lemons, lemon zest, kosher salt, vanilla, and melted butter in a large bowl or the base of a mixer. Beat rapidly until ingredients are smooth and evenly combined. Beat in the egg. In a separate bowl, whisk together the flour, baking powder, and baking soda. Stir into the wet ingredients along with the apple cider and lemon juice. Mix until completely incorporated. Stir in the cranberries. Pour batter into the prepared loaf pan. In a small bowl, combine the remaining lemon zest and white sugar. 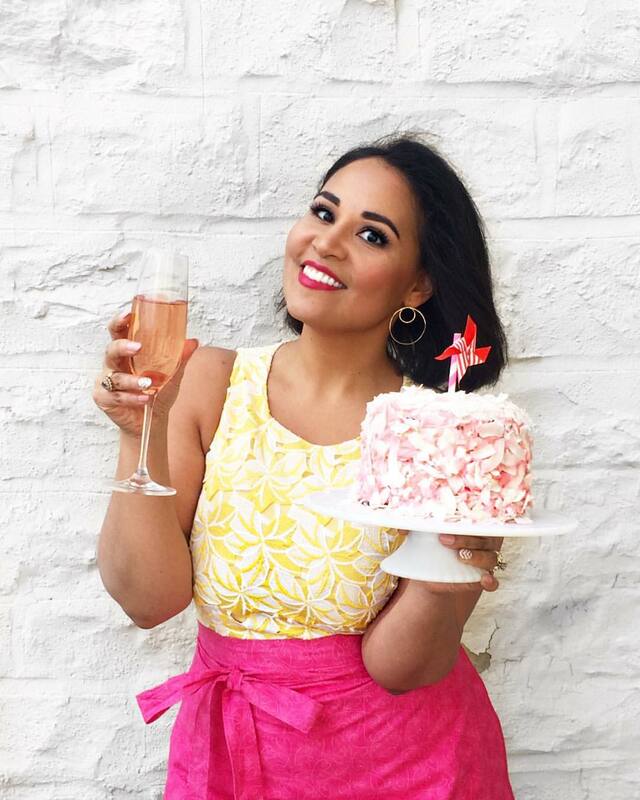 Use your fingers to rub together then sprinkle over the cake batter. Dot with the cubed butter. Bake 45-55 minutes or until the top is golden and a tester inserted the center comes out clean. Let cool in pan 5 minutes, then remove and let cool completely on a rack before serving.